Since day one, Gillum has said FBI agents told him he is not the investigation's target. But the issue has become complicated in recent days. Andrew Gillum's campaign for governor had an FBI problem almost from the start. Here are three questions about the FBI's investigation into Tallahassee's city government and how it relates to Florida's governor's race. 1. What is Gillum's connection to the case? Starting in 2015, FBI agents came to town posing as businessmen considering investments in the city of Tallahassee. The three men, who reportedly identified themselves as Mike Sweets, Mike Miller and Brian Butler, spent months cozying up to city officials and people close to them. The FBI investigation based in part on their undercover work has yielded several rounds of subpoenas — but no charges yet. A slew of Tallahassee officials and insiders have been named in those subpoenas over the past year. According to those documents, which you can read here, here and here, the part of the investigation that could be most relevant to Gillum centers around the city's community redevelopment agency, which steers private and public money to revitalization and infrastructure projects. One of the officials in the crosshairs of the FBI, lobbyist Adam Corey, was a longtime Gillum friend and ally until Gillum cut ties with him last year the Tallahassee Democrat has reported. In 2013, the community redevelopment agency voted to give $1.3 million in taxpayer money to help a Corey-associated restaurant project, the Edison. Gillum voted with the rest of his fellow city commissioners — who sit on the CRA — to fund of project. At the time, Gillum's vote raised eyebrows because of his close association with Corey. One year later, Corey served as the treasurer of Gillum's mayoral campaign. According to the Democrat, Corey became close with Miller, reportedly introducing Gillum to the undercover agent sometime in 2016. One of the reported meetings between Corey, Gillum and Miller at the Edison in May of that year became a point of controversy when the Democrat reported that Corey scheduled the meeting while on vacation with Gillum and other city lobbyists in Costa Rica. The Costa Rica trip is now the subject of a second investigation, from the Florida Commission on Ethics. 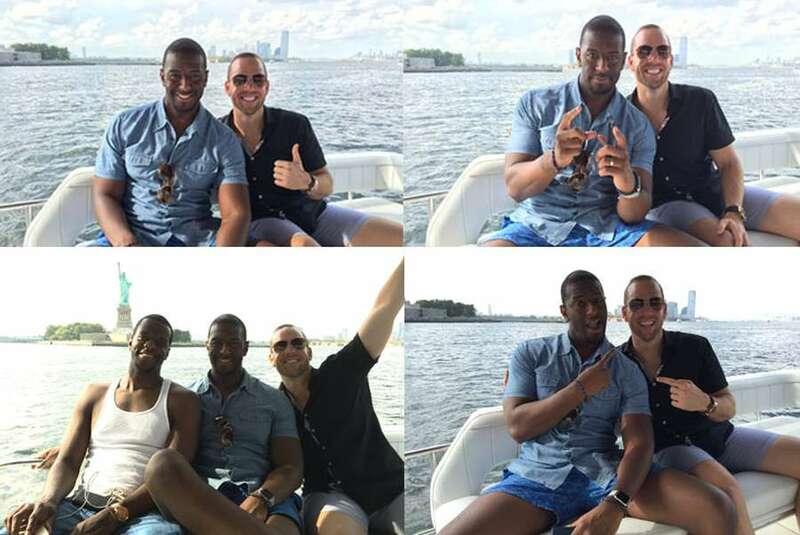 Gillum has maintained he did not discuss business in Costa Rica; the trip was merely a vacation with longtime friends, he has said. Gillum has also said he paid for his entire portion of the getaway. But Corey's attorney, Chris Kise, has maintained that Gillum never reimbursed the lobbyist for his portion of the trip. So how do all of these pieces and trips fit together from the FBI's perspective? Miller, the undercover agent, wanted the city to expand the jurisdiction of the community redevelopment agency to include a parcel of land Miller said he would develop. He solicited Corey's help to achieve that goal, and in 2016, the CRA — of which Gillum is the chair — voted unanimously to expand the jurisdiction. The good news for Gillum? The mayor wasn't present for that vote. The most important thing voters don't know for certain is the extent of Gillum's exposure in the FBI investigation. (We know that the Florida Commission on Ethics is focused on Gillum's activities, but the stakes are much lower for Gillum in that investigation.) There's currently no indication that Gillum is in any way directly implicated — and the mayor for months has said the FBI told him in a meeting with no lawyer present that he's not the focus of the investigation. Corey appears to be Gillum's closest link to the case, but documents indicate the FBI inquiry is wide in scope. Especially before charges are filed, it can be difficult to see a case's contours. Even if Gillum is not implicated in the government's case, it would be unusual for the FBI to officially clear him, said Tallahassee attorney Steven Andrews, who's previously worked with subjects of FBI investigations. The Democrat reported in July that there are signs the case could be entering the charging phase. Certain officials who may be implicated in the investigation have been seen at the federal courthouse in Tallahassee in recent days. On the other hand, Andrews said he's seen an FBI investigation drag on for as long as seven years. 3. How has the case affected the governor's race? It's difficult to isolate the impact of individual factors on something as fluid as a political campaign. But Gillum's own team admits the investigation wasn't exactly been a boon to the candidate in during the primary — particularly when it came to fundraising. "It hasn't been helpful," said Geoff Burgan, a Gillum campaign spokesman, over the summer. "Any time you're speaking with donors or folks like that about something that's not related to the policies you want to implement or your vision for the state, it's not going to be an optimal conversation." Still, Burgan noted, voters rarely mention the investigation on the campaign trail. However, Gillum's Republican opponents, including gubernatorial Ron DeSantis, have pounced on the issue, doing their best to paint Gillum as corrupt. Florida State University political science professor Carol Weissert said in an email to the Tampa Bay Times before the August primary that the issue could drag Gillum down in the general election. "Floridians—or really any voters—don't want to put a 'tainted' candidate in office," Weissert wrote. "Gillum isn't well-known among voters which means he doesn't have a reservoir of goodwill to draw down on against tough corruption allegations." Editor's note: this story was originally published July 20. It was updated October 24 to reflect the most recent developments in FBI story.